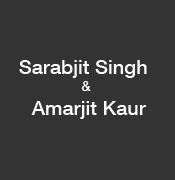 Profile of the victim : Sarabjit Singh (23) and Amarjit Kaur (21) were from the same caste, were going around with each other for the last few months. Assassination : “Sarabjit and Amarjit, who were from the same caste, were going around with each other for the last few months. Amarjit’s family members were against their relationship. They killed the two by using sharp-edged weapons and threw the bodies at an isolated place near their house.